Spring’s newest hair trends have hit fashion week, and our stylists at Patrick Taleb’s hair salon in Weston, are recreating the hottest hairstyles from the runways. A Return to Natural Tones: The trend in hair color is moving away from deep reds and platinum blondes, and towards more natural hues. While fashion trends are focusing on bright colors, pastels and floral prints, we’re seeing healthier, rich brown and blonde tones for hair. The Modernized Ombré: A dark base with bleach blonde ends is passé – a more sophisticated and subtle ombré with highlights is the look of the season. Face-framing ombré highlights are also on trend, and create a multi-dimensional result. The ideal color to achieve this look is a dark mocha base with caramel highlights. 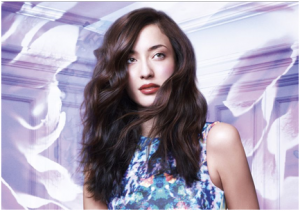 L’Oréal Professionnel has recreated this look with their Ombré Nature collection. This Season’s It-Cut: If you’ve ever considered a short hair cut, now’s the time to do it! The bob is back, and it’s hotter than ever. A Short bob with ombré highlights is the look of this spring’s “it girl”. 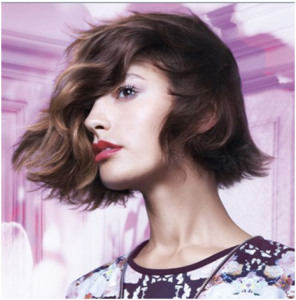 Plus, two-toned color on short hair creates volume and dimension to otherwise fine hair. Free-Flowing Textures: Forget sleek, straight hair. This spring’s hairstyles are all about free-flowing movement. From a textured pixie hair cut and bangs, to tousled braids and twists, we’re loving everything a little more natural and undone. Deep-Sided Parts: As seen by many celebrities, like Amanda Seyfried, during red carpet season, the deep-sided part is a spring hairstyle that takes little effort; and, it creates a dramatic effect. The side part makes a simple hairstyle more elegant, and can be worn with your hair down, curled or up in a ponytail or bun. If you want a new hairstyle that’s on trend for this spring, one of our expert hairstylists at Patrick Taleb Salon will create a new look, customized for your hair type. For appointments and hair services, call us at 954-389-4600.